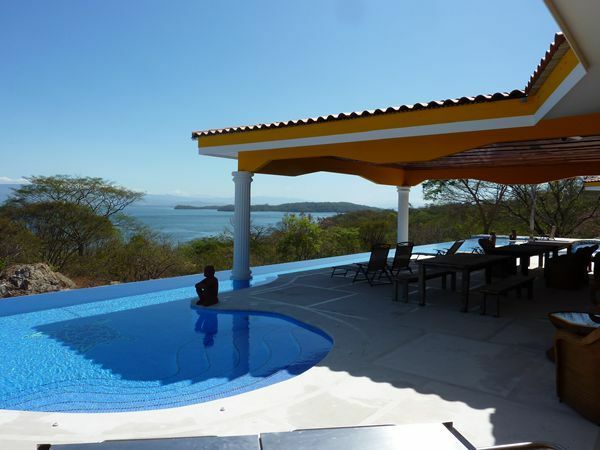 Roma del Mar is a divine place with its tranquility, nature and surrounding water and beaches. 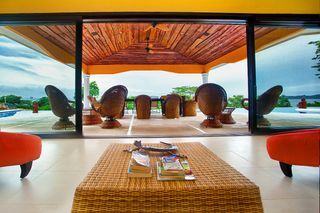 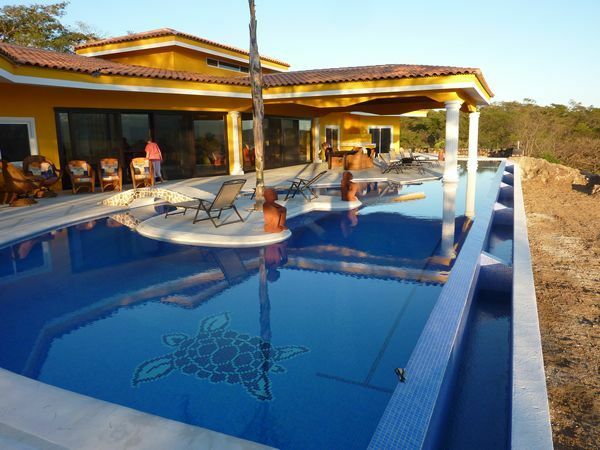 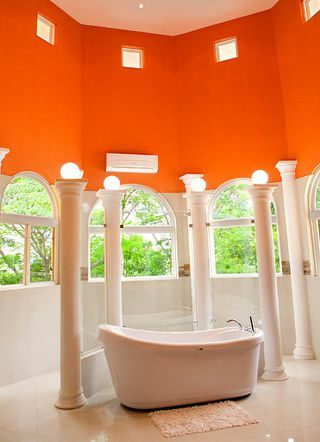 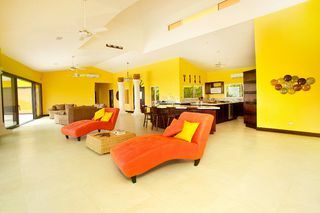 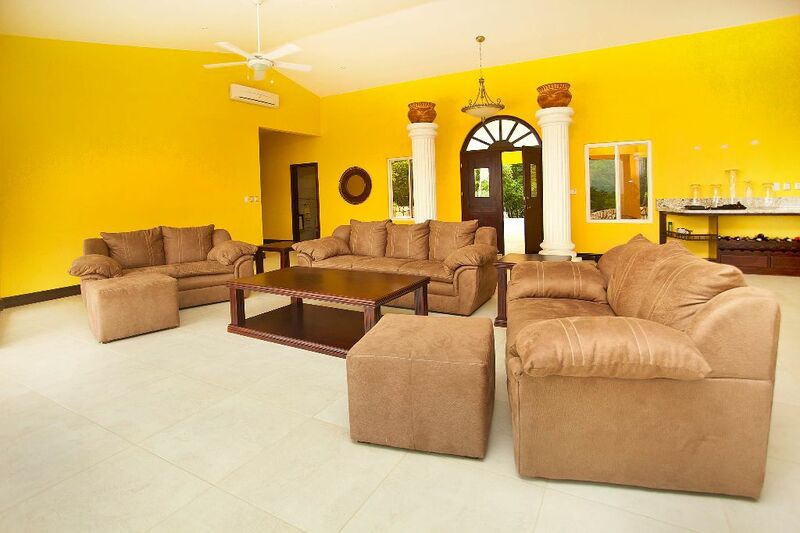 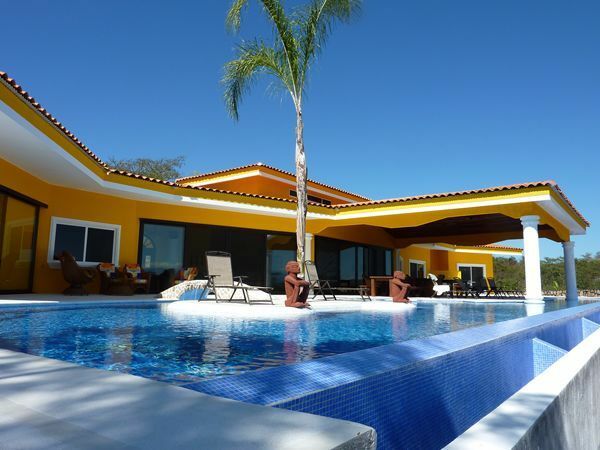 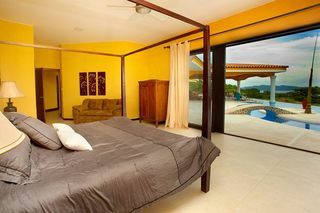 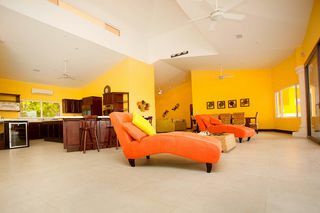 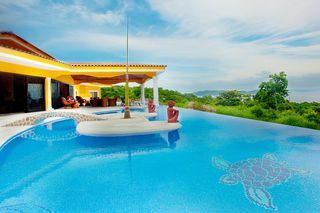 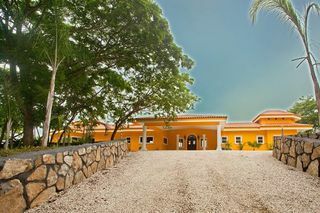 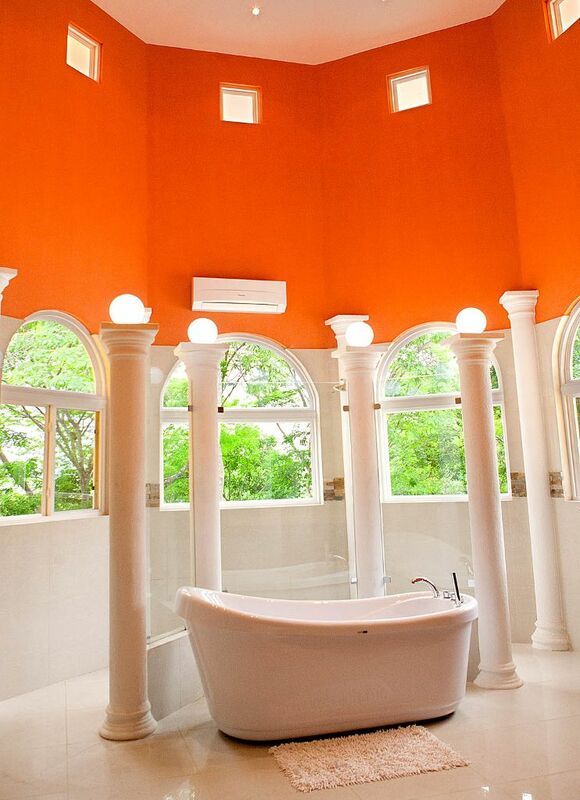 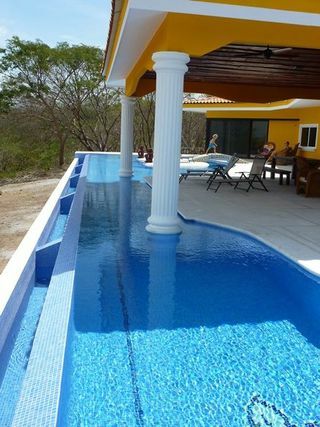 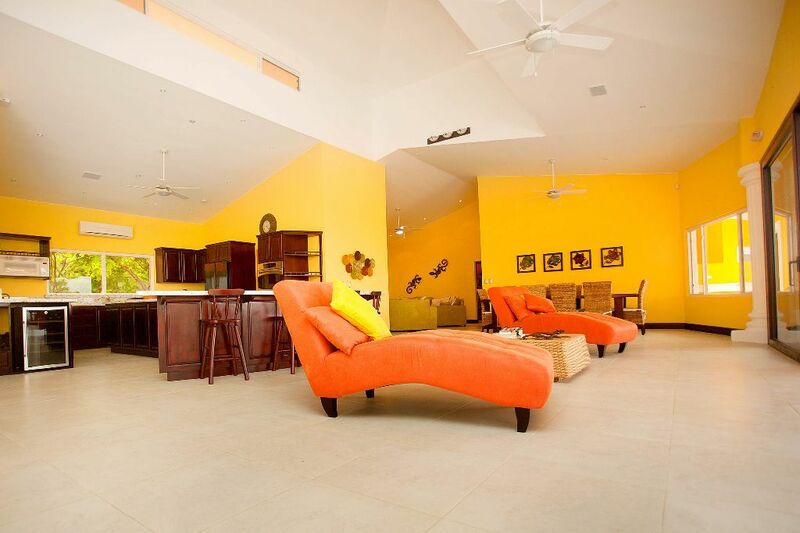 Situated on a hillside overlooking the Golfo de Nicoya and its islands, this luxurious single-family home offers 7,000 square feet of living space, extensive terraces, inifinity pool with jacuzzi and lush landscaping. 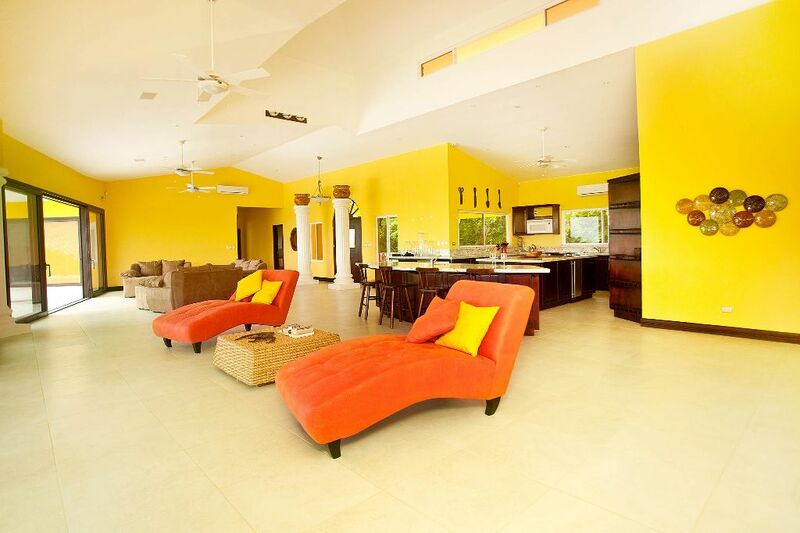 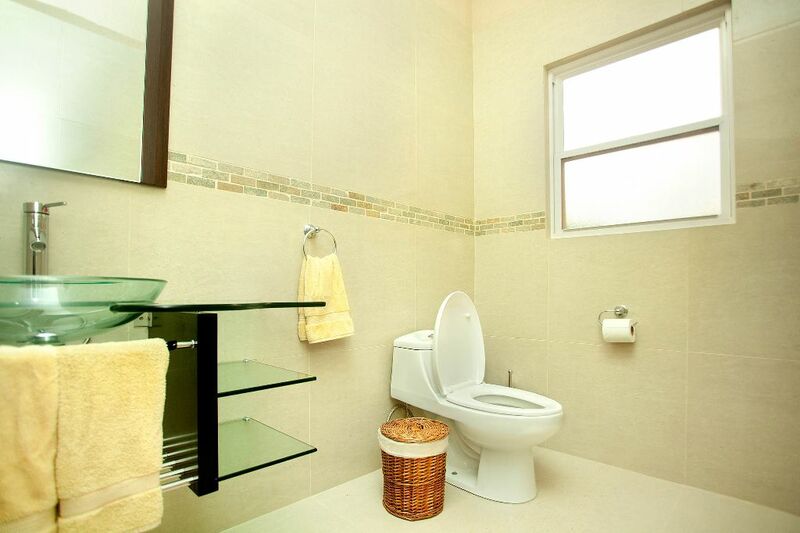 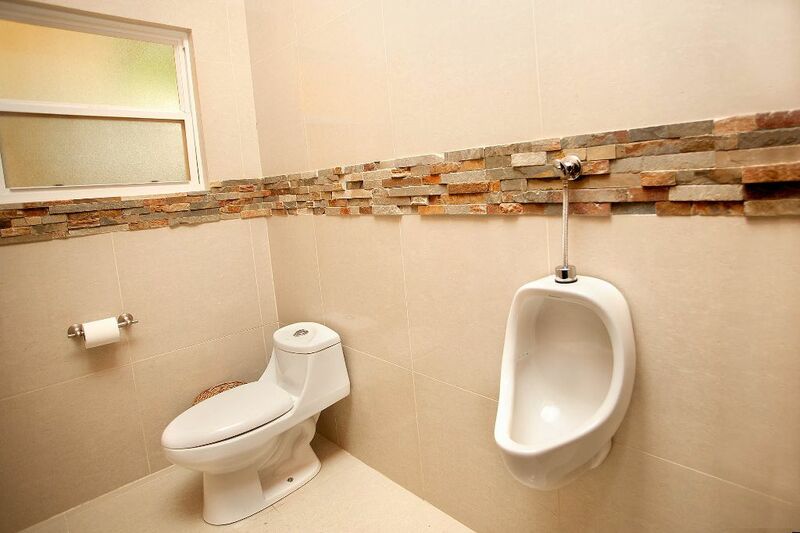 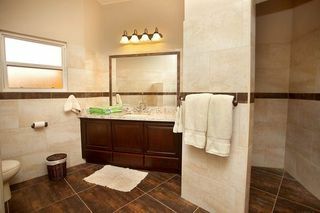 A luxury residence that offers the utmost in comfort and privacy. 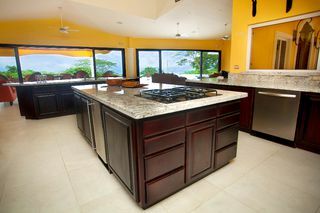 The unique combination of hand made hardwood cabinetry and accents, wrought iron detailing and ceramic tile creates a elegant interior reminiscent of colonial times. 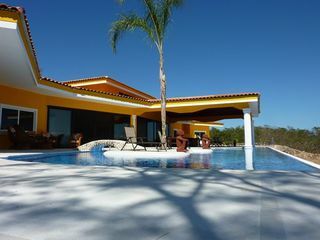 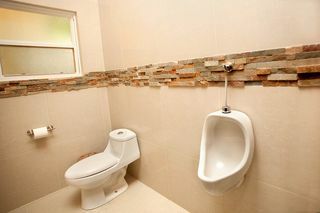 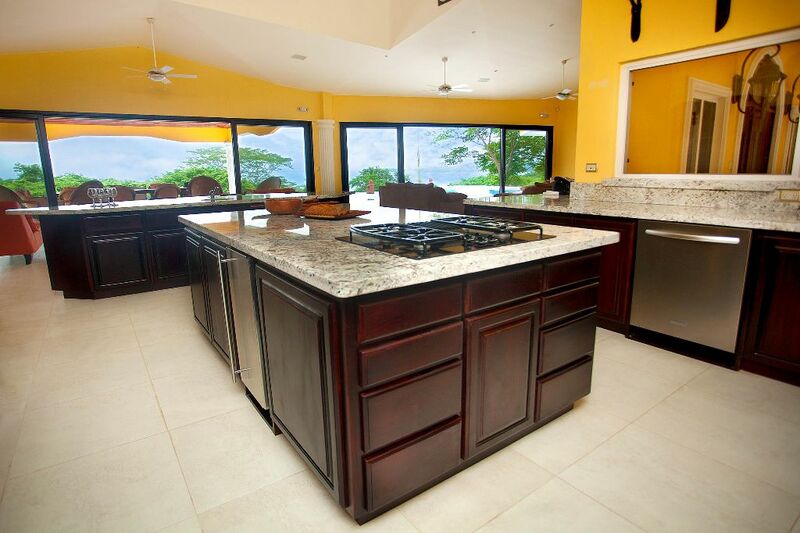 The quality of construction is one of a kind and competes with all top of the range developments in Costa Rica. 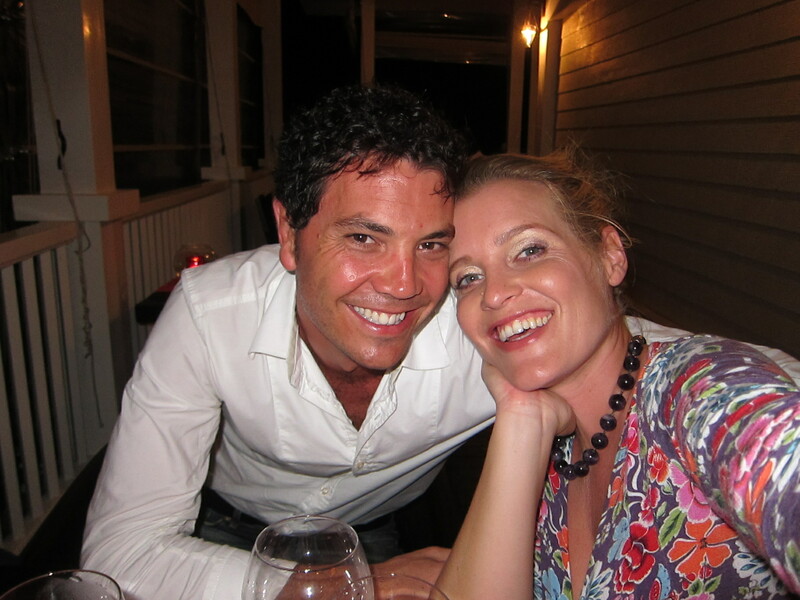 The developers are originally from Germany and ensure high quality precision with many details. 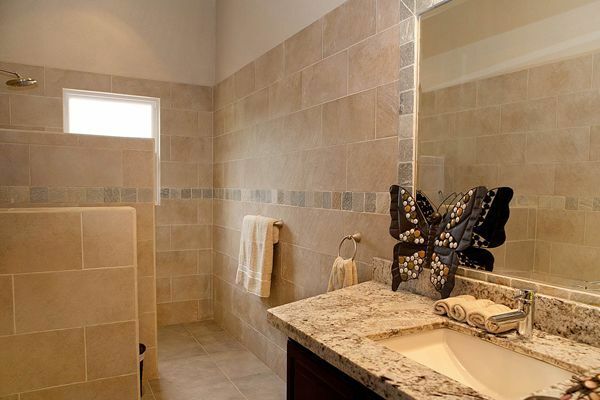 A well-planned set of architectural guidelines ensures that all construction within the community upholds the high standards that have been established in the Roma del Mar master plan. 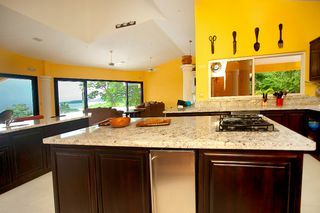 Strict land-use controls, property administration and professional maintenance of common areas will enhance the value of your custom home for years to come. 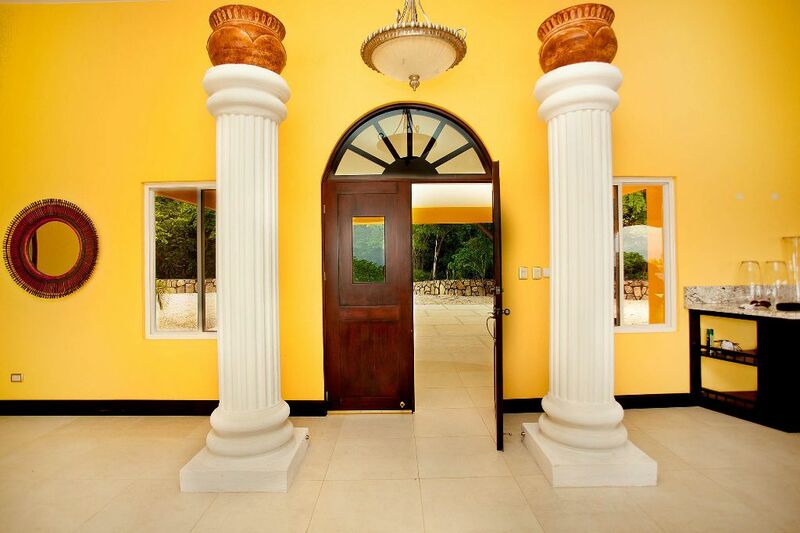 Guarded security and monitored electronic alarm systems ensure peace of mind for the residents of our community. 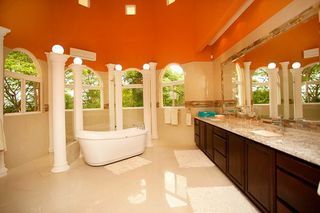 This stunning one-of-a-kind home is only 150m from the ocean with spectacular unobstructed views. 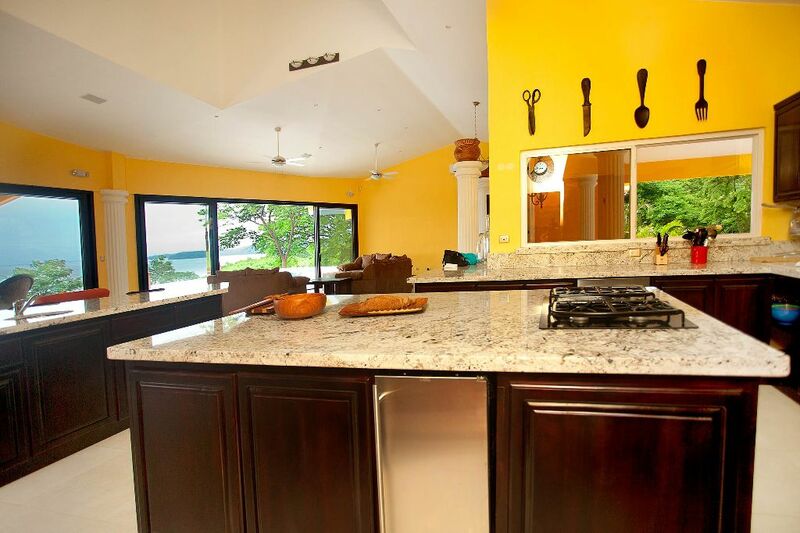 Special features in this home include 2 huge islands in the kitchen, granite counters throughout, all cabinets, tables and wood furniture carefully hand crafted in teak, and built-in speakers in every room and on the pool deck. 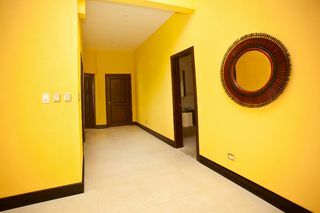 Separate rooms for TV viewing and an office/library are spacious and beautifully decorated. An incredible tower rises above a vaulted great room that includes ample living and dining areas. 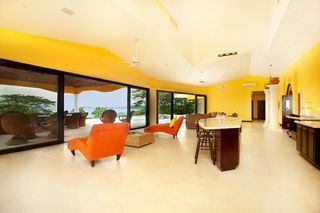 Two sets of panoramic doors off the great room open to the pool deck, where a 33.3m x 5m pool with an inifinity edge disappears into the ocean. 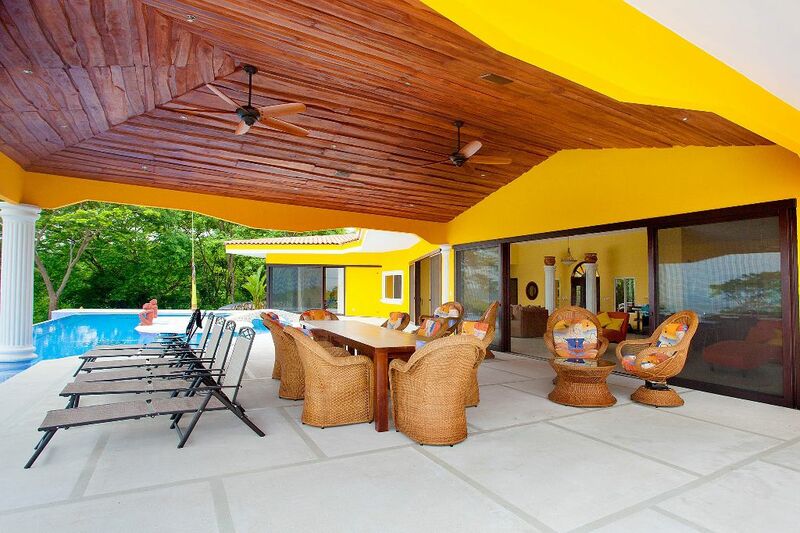 Jetted seating areas, water features, a bridge/island, 2 outdoor bathrooms and a stunning lanai with a teak roof and room for 20+ people complete the outdoor living space. 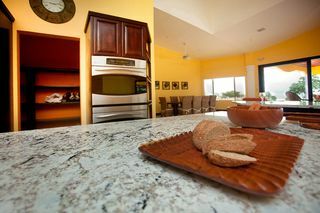 This home is being offerred with everything in it - a true turn key and once in a lifetime opportunity . 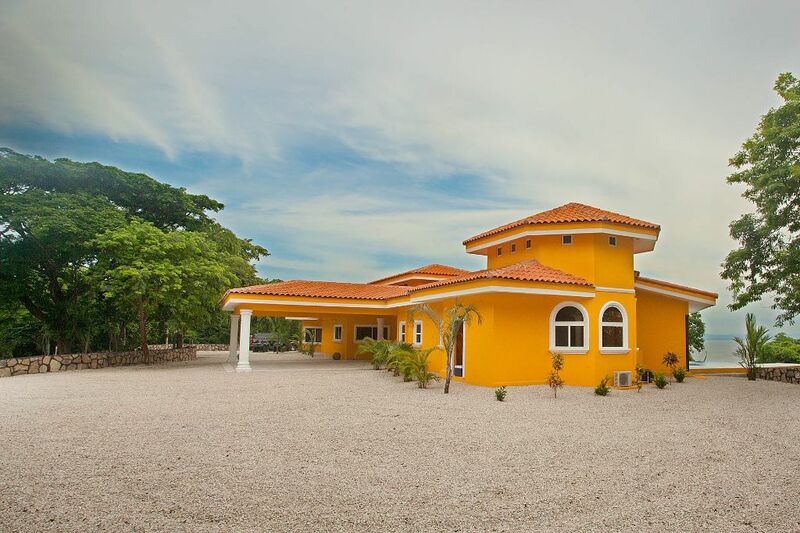 Owning and maintaining this villa within Roma del Mar is a stress-free experience with the Roma del Mar Property Management Service, Pool, Cleaning, Maintenance and Garden Service. 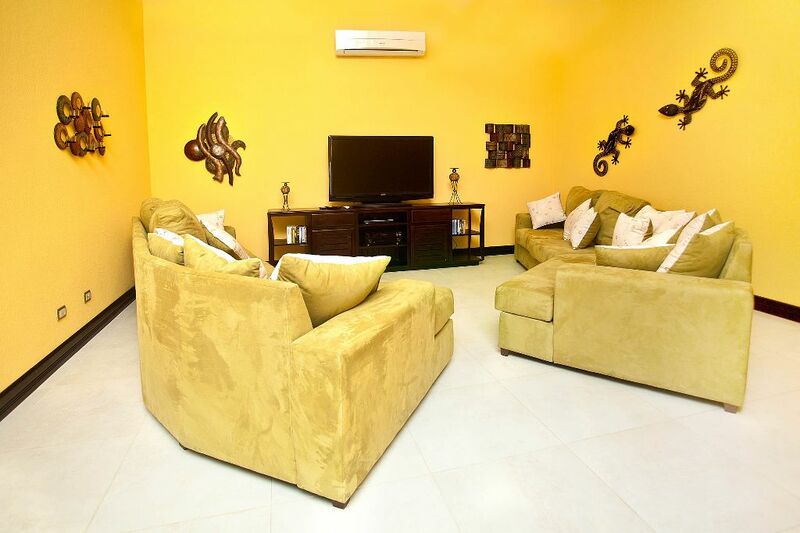 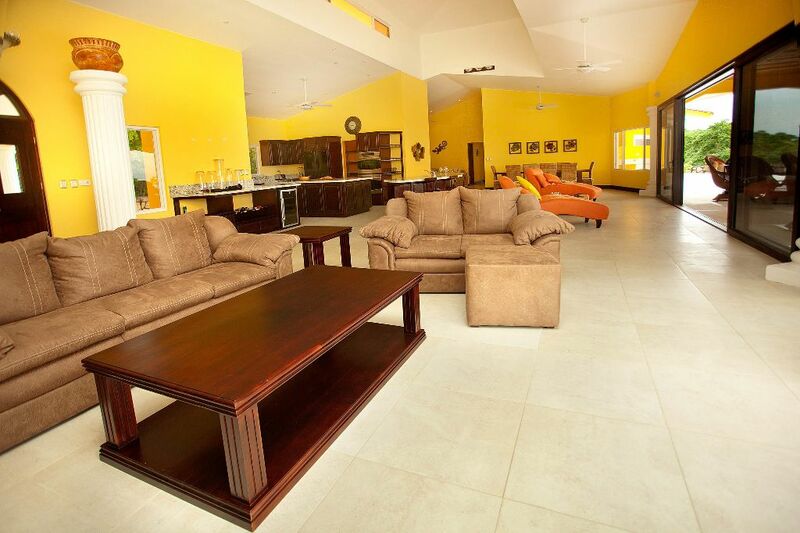 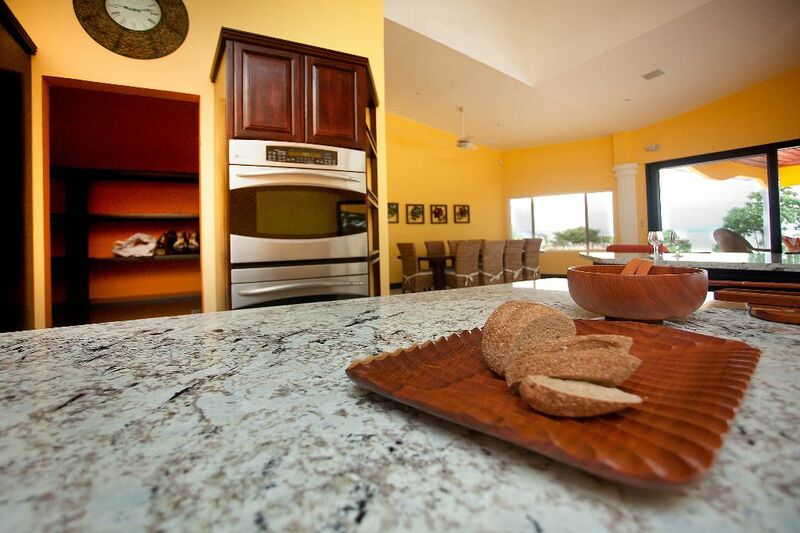 The Roma del Mar Rental Service ensures that all your guests and renters are welcomed and taken care for. 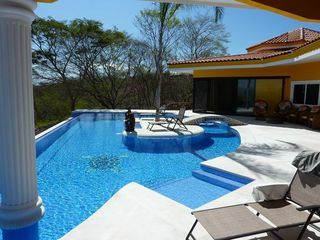 Their visit is a peace of mind as we help them with booking tours, transfers, trips and much more, making sure they are having a perfect vacation. An onsite Roma del Mar reception & shop offers a variety of groceries, daily baked fresh bread and pastries, internet access, souvenirs and a choice of DVDs and books free to use while your stay in Roma del Mar. 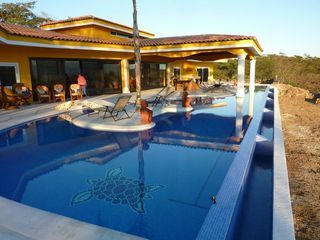 The Roma del Mar villa owners love to help the local school and many other needy people. 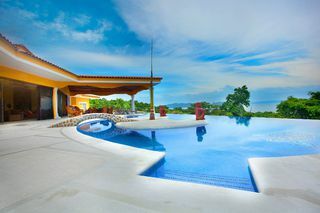 One of the villa owners is a doctor and started the “Midwest Medical Mission” in 2008, offering treatments and medical supplies free of charge to many Costa Ricans in and around Roma del Mar. This led to the Roma del Mar Clinic, built with the donations of Roma del Mar villa owners and offers medical support onsite in any emergency. 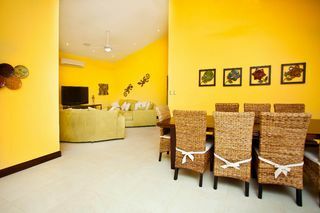 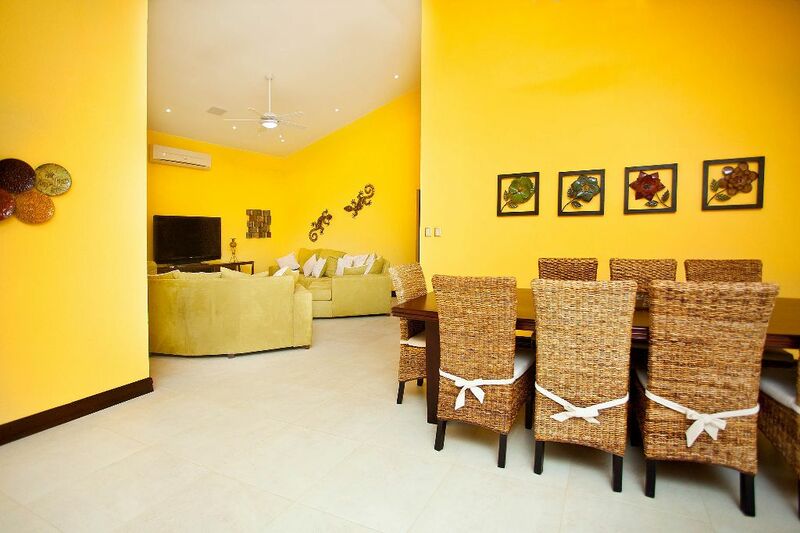 This makes a vacation in Roma del Mar to a peace of mind for the owners, renters and guests.